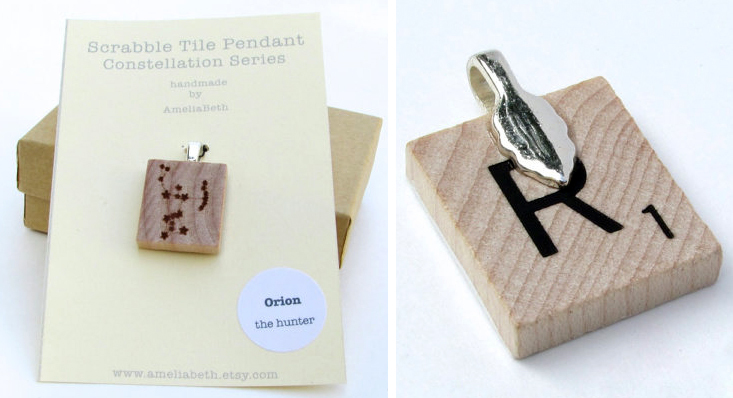 Scrabble Tiles Turned into Talk-worthy Art Accessories. Inspired & Impressive Laser Technique at a Tiny Scale. Perhaps the most fun part of being a lover and follower of the Austin art scene is getting to watch the evolution of talent. You start to see many of the same faces at show after show, but the treat for me is that they usually bring along both their classic work and new experimental pieces. Today's artist, miss AmeliaBeth is one I could have written about many times for her creativity both in materials and design, but I would have missed out on how much she's developed her work. It's fair to say she's been crafting much of her life. 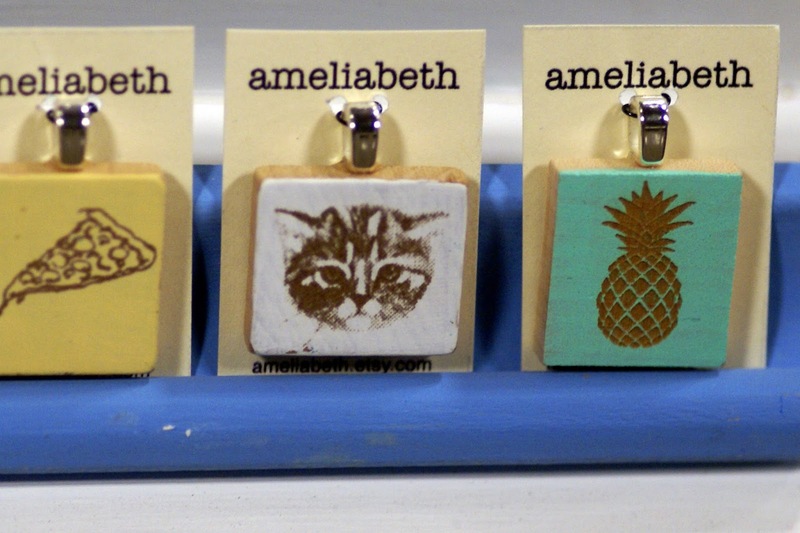 When she first entered the Etsy scene, she started with neat little necklaces made from Scrabble tiles with digitally rendered designs on top. The colors and cuteness are what caught my attention, not to mention the up cycling of a classic American game piece. It's common for people to look at both the front and the back to pick a design and a letter that is meaningful to them (even if that part is a secret facing their skin). From there she has started using laser etching to make even more one-of-a-kind pieces, some with color and others playing off the natural wood grain of the tiles. 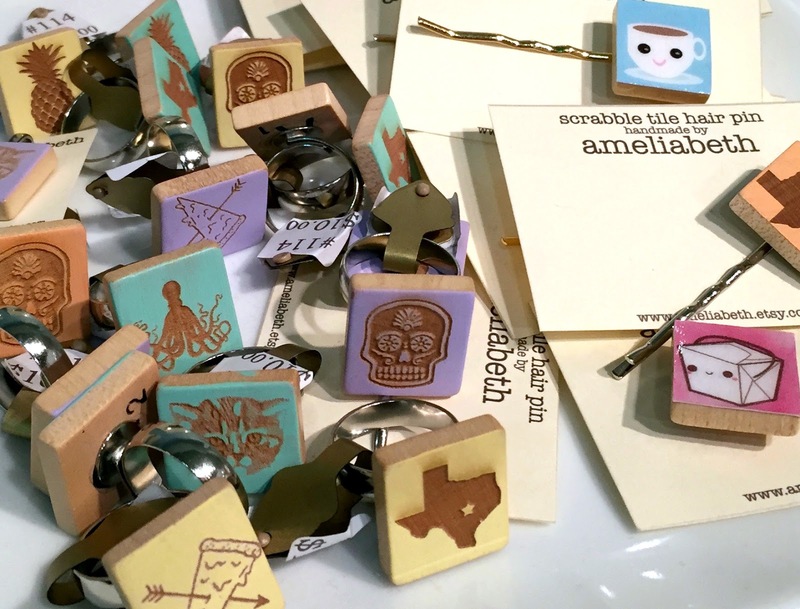 While her Texas iconography and Nerd references are awesome, I am personally a huge fan of her constellation collection that features beautiful representations of our most magnificent star formations. 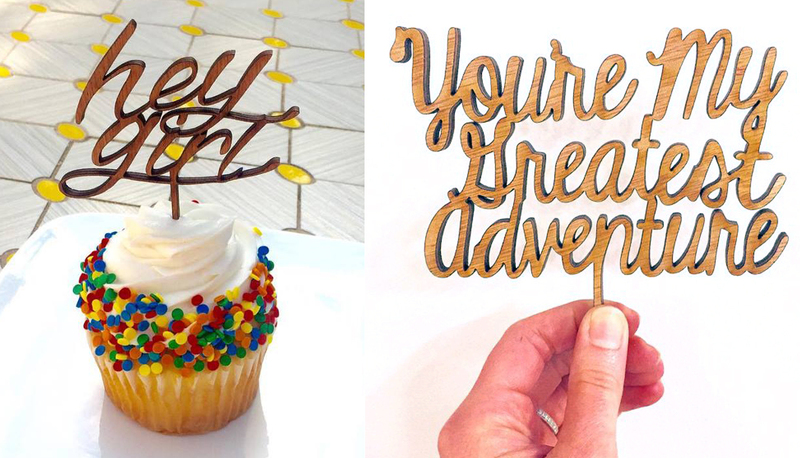 On top of her work with Scrabble tiles, she has also moved into the realm of laser cutting with larger scale items for dessert toppers. 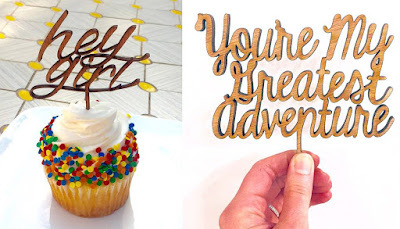 These allow you to add a sweet and sometimes humorous saying to a cake or other dish to mark a special occasion. Artists like AmeliaBeth make this hobby of mine even more fun! Thank goodness for her love of crafting and her family who've always supported her creative explorations!